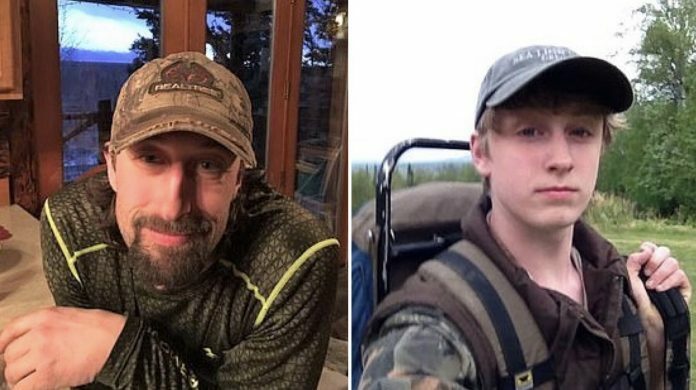 A father has been sentenced to jail time after he and his son were caught on camera killing a mother bear and her cubs in April of 2018. After both men pleaded guilty to multiple counts, including illegal killing of the mother bear and her cubs, the father, Andrew Renner, was sentenced on Tuesday to three months in jail while his 18-year-old son Owen Renner received only 30 days of suspended time in connection with the killings. Clearly, the punishment does not fit the crime for this senseless killing. The mother bear that was killed was one of 20 fitted with collars for a three-year study that started in 2016, according to the Alaska Department of Fish and Game. The study by the department and Chugach National Forest came in response to concerns about declining numbers of black bears in Prince William Sound. A U.S. Forest Service employee reported the deaths of the mother bear and her cubs to Alaska Wildlife Troopers on April 23rd 2018. As previously reported by WAN, the shocking slaughter was caught on video by a motion-activated camera outside the den. After they shot the mother bear, they dragged her from the den and realized she had a Fish and Game collar. It also captured Andrew Renner saying, ‘I’m gonna get rid of these guys’ while tossing the cubs’ limp carcasses onto the snow outside the den, the documents said. The clip captured the younger Renner saying, ‘We got the collar off.’ Next, Andrew Renner said, ‘We’re gonna skin it that way,’ and points away from the den. Owen Renner agrees, saying, ‘They’ll never be able to link it to us.’ They proceed to butcher the sow and place it in game bags, then ski away. Andrew Renner took the black bear sow to a state wildlife office on April 30th, claiming he and his son had killed it near Granite Bay in Prince William Sound on April 14th, clearly lying. Troopers said that while interviewing Renner, he said he had skinned the bear, brought the collar, and expressed that he had no knowledge of the mother bear having cubs, and that no cubs were in the area, yet another scathing lie. Thankfully, everything was caught on camera and Renner and his son have been exposed.